The mere fact that female conductors are a comparative rarity around the world, at a point in history when women instrumentalists are commonplace, is an indication of the glacial rate of progress for women in ascending the podium. When the Seattle Symphony presents its annual “Messiah” Dec. 15-17, there will be a woman on the podium. You might not think this fact is worthy of a “Hallelujah,” until you consider that Ruth Reinhardt will be the first woman in the orchestra’s history to conduct this annual and beloved holiday fixture. This is a milestone worth considering. 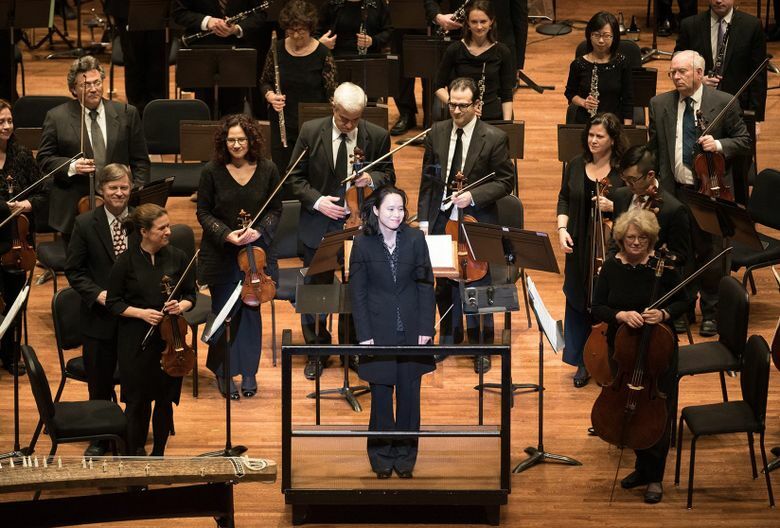 The mere fact that female conductors are a comparative rarity around the world, at a point in history when women instrumentalists are commonplace — female orchestra musicians make up 36 percent of the Seattle Symphony — is an indication of the glacial rate of progress for women in ascending the podium. Of the 22 major U.S. symphony orchestras (ranked by budget size), only one has a woman in the top job of music director (aka principal conductor): the Baltimore Symphony’s Marin Alsop. And she faced daunting obstacles: 90 percent of the orchestra’s musicians publicly declared their opposition to her appointment in 2005. She met with the players and eventually won their support, along with international acclaim and a contract renewal. One reason there aren’t more female conductors is likely that symphony orchestras are highly traditional entities. They perform repertoire whose core formed in the 18th and 19th centuries, and for whom the 20th century still counts as “new music.” Most maestros, and many orchestras, still wear traditional formal dress, and most symphony concerts adhere to a long-held formula. The Seattle Symphony, meanwhile, has had an unbroken succession of male music directors. But women have also made their mark, as guest conductors, and assistant and associate conductors. 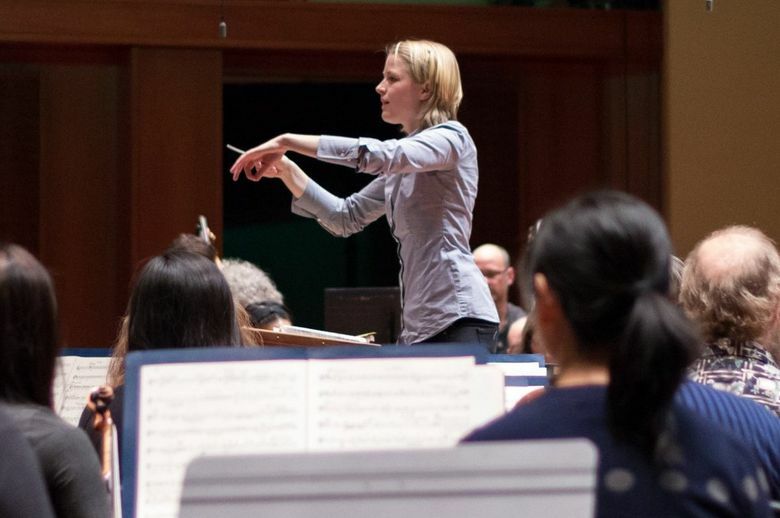 Former SSO associate conductor Carolyn Kuan is now music director of the Hartford Symphony (in Connecticut); former Seattle Symphony conducting fellow Ruth Reinhardt, who leads the upcoming Seattle Symphony “Messiah,” is assistant conductor of the Dallas Symphony. 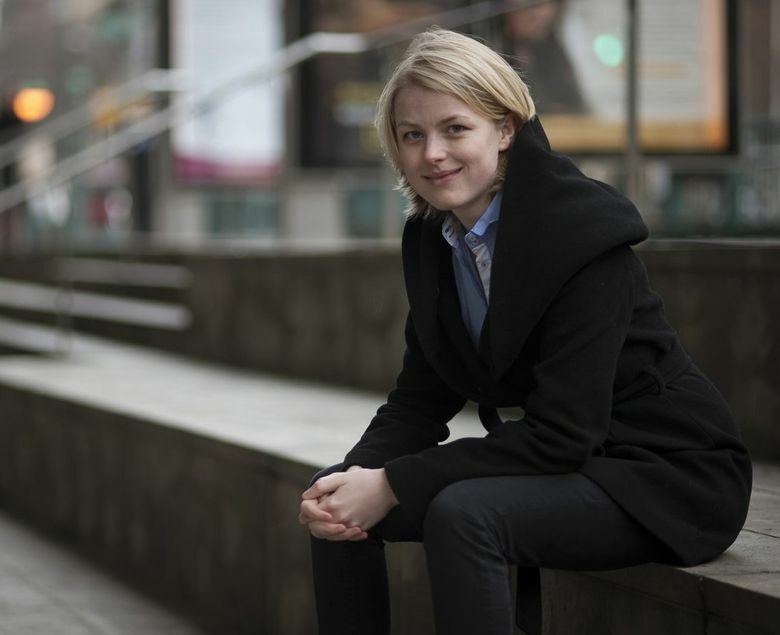 The Seattle Symphony also has featured other stellar female guest conductors, including Finnish-born Susanna Mälkki (principal guest conductor, Los Angeles Philharmonic) and Lithuanian conductor Mirga Grazinyte-Tyla (music director, City of Birmingham Symphony Orchestra, in the U.K.). In May, SSO audiences will hear the local debut of Karina Canellakis, former assistant conductor of the Dallas Symphony, and guest conductor of major orchestras from Paris to Vienna. And conductor Julia Jones led a very successful “The Magic Flute” at Seattle Opera this year. 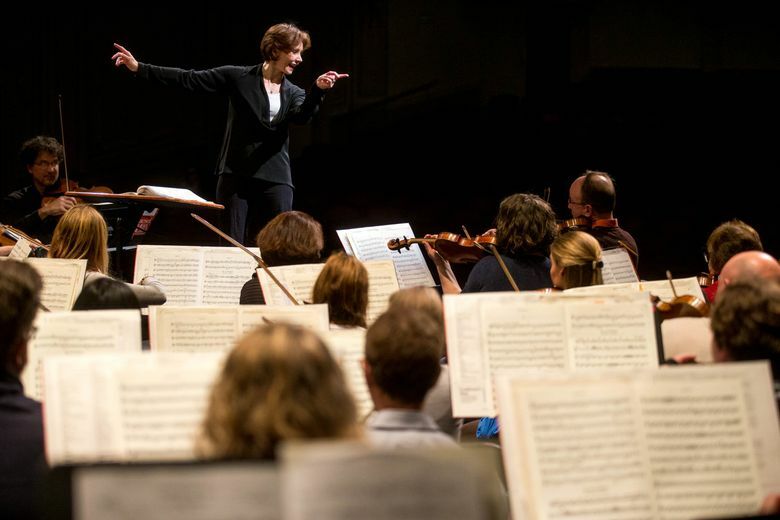 Guest conducting is one way aspiring conductors gain wide-ranging experience and develop continuing relationships with orchestras, a key part of eventually ascending to the music-director position. Around the world, there are a few other hopeful developments: the Dallas Opera’s annual Hart Institute for Women Conductors, and the Taki Concordia Conducting Fellowship for female conductors, created by Marin Alsop, who had also previously been music director of the Eugene Symphony. (Two Seattle guest conductors, Reinhardt and Canellakis, are Taki Concordia winners.) In England, the Royal Philharmonic Society’s “Women Conductors” program offers workshops throughout the U.K. In the meantime, what’s it like on the podium for female maestros? We’ve asked four conductors with Northwest connections about their careers and hopes for the future. 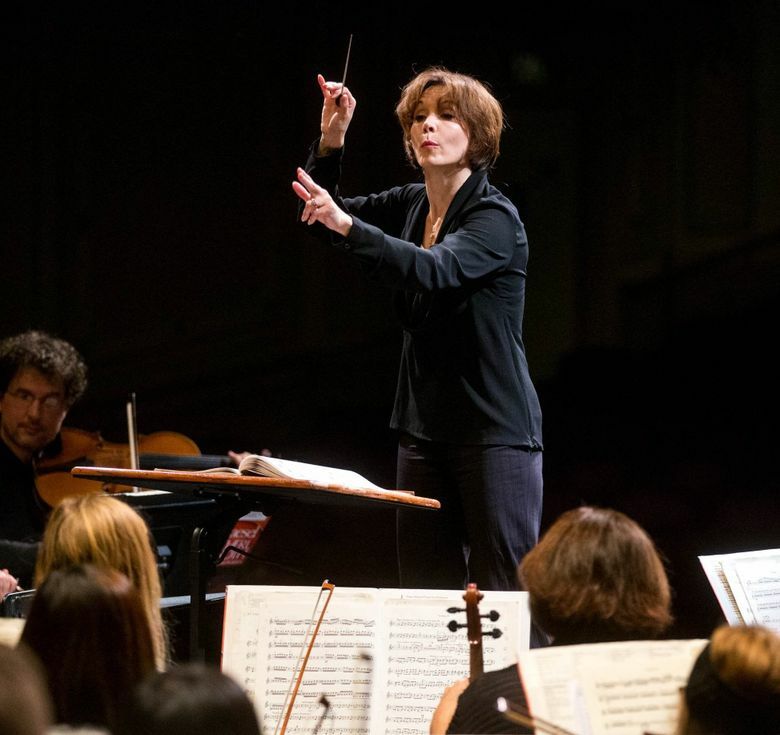 This busy 45-year-old conductor has divided her time among directorships of Symphony Tacoma and the Spartanburg (North Carolina) Philharmonic, plus the family’s East Coast base (her husband, trombonist Scott Hartman, teaches at Yale University). With a 9-year-old daughter and 7-year-old twins, and regular guest-conducting trips to Europe, life has been hectic. Now, as Ioannides (“ee-an-ee-dees”) ends her Spartanburg tenure, she is “really focusing on my work here in Tacoma. I want to get to know the community as an insider, and to work on collaborative projects that you could never do as a guest conductor,” she said. 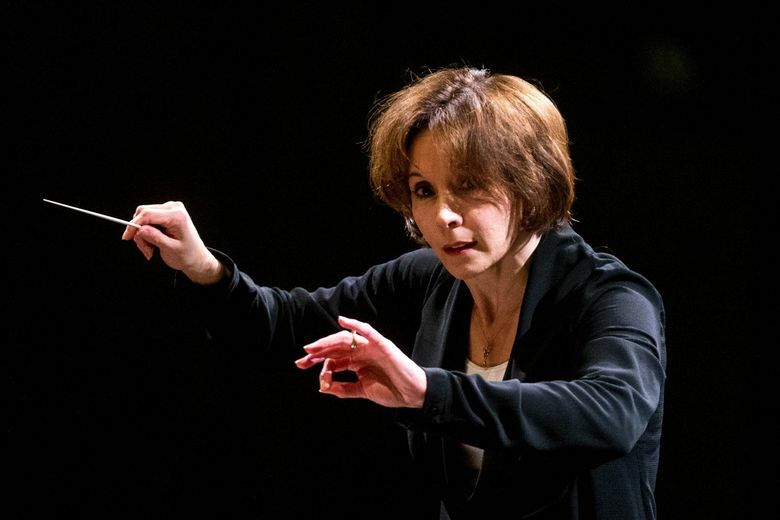 The Australian-born Ioannides was named by the Los Angeles Times as one of several female conductors cracking the “glass podium” and was termed part of “a new wave of female conductors” by The New York Times. Seattle Symphony’s former associate conductor recently became an American citizen in a ceremony before a concert by her Hartford Symphony Orchestra, with what she thought was “just a few people” in attendance — until she turned around and realized there were a few hundred board members and concertgoers there to celebrate. She’s starting her seventh season in Hartford and just signed a six-year contract, so you might say they really like her. There, she’s also the orchestra’s youngest music director, at 40, and the first Asian American. She’s also conducted the Hong Kong Philharmonic, the Royal Concertgebouw Orchestra, Washington National Opera, and St. Louis Opera. At 89, this Northwest marvel who founded several institutions (including the Olympic Youth Symphony and Philharmonia Northwest) is also a pianist and a cellist, as well as a conductor who studied with Leonard Bernstein and Seattle’s Stanley Chapple (who “didn’t approve of women on the podium”). An avid swimmer, Walton was the second seed on the 1948 Olympics U.S. women’s swim team. Reinhardt is looking forward to conducting her first “Messiah” in Seattle, she says. Melinda Bargreen, who has reviewed music for The Seattle Times since 1977, is the author of two books, “Classical Seattle” and “50 Years of Seattle Opera”; she also writes for several print and online publications. She can be reached at mbargreen@gmail.com.